It was 2007 when the last Fantastic Four film, Rise Of The Silver Surfer, was released, so like Sony’s quick turn-around to reboot the Spider-Man franchise, 20th Century Fox, who own the rights to Marvel’s famous quartet, decided that Tim Story’s lighter than light films needed a much darker, grittier edge. 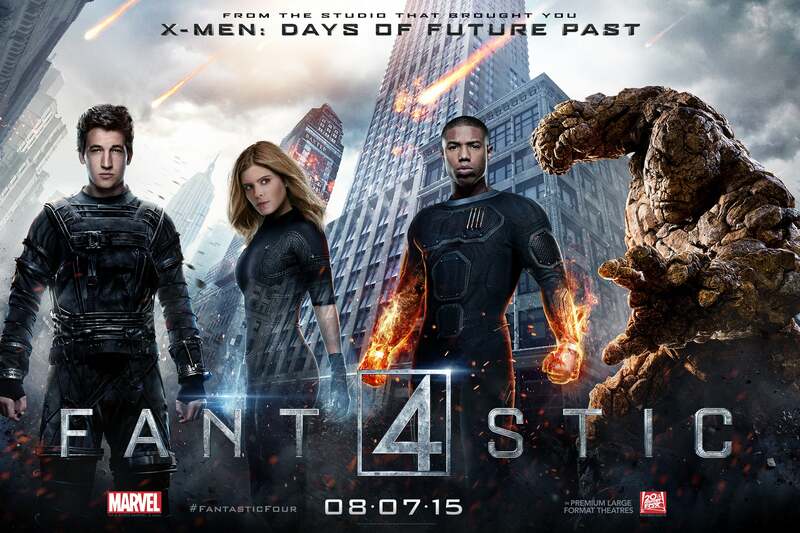 Hence we now have Fantastic Four, the 2015 version. Does it improve on the past outings? Absolutely not. In fact, this isn’t that fantastic. Young Reed Richards has created a machine that enables objects to enter into another time dimension and return. Years later and Reed is snapped up by the Baxter Corporation, who have been working on the same concept for years, except haven’t been able to bring things back. With the help of Sue Storm, the adopted daughter of Dr Franklin Storm, Johnny Storm, a fast-moving kid and Victor Von Doom, the creator of the original plans, along with Ben Grimms, Reed’s best friend, the group manage to successful make a machine but in order to beat NASA, they decide to use it themselves, only to find that the journey will change them forever. 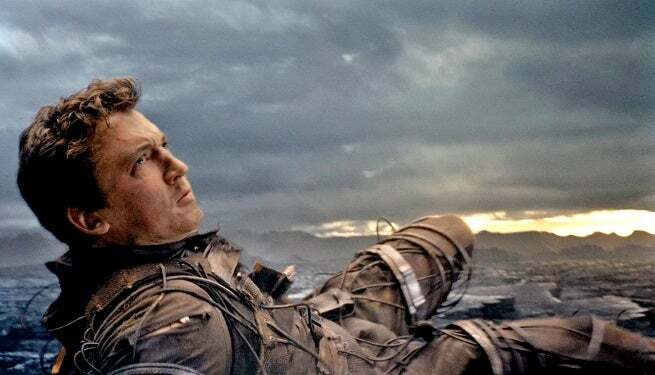 With reports of production problems, reshoots and re-edits, Fantastic Four doesn’t come with confidence. Led by director Josh Trank, who made the hugely impressive Chronicles, the film certainly shows its original problems as this is definitely a game of two halves. The first hour is spent with plenty of scientific technobabble as the characters develop the machine. In that time, you become increasingly impatient as we came for superheros and not super geeks. What also doesn’t help is that there is very little character development, so the connection with these kids is limited. Once we finally get to see the contraption in action, sending Reed, Ben, Johnny and Doom to the other universe, it all seems too hurried to fully understand what is going on. How Sue becomes invisible is virtually a mystery, as she is back home at headquarters and gets hit by the returning rays from the craft. Then the real problems occur. After almost an hour of exposition, nothing in the final section makes any sense at all. Reed, now all bendly and stretchy, runs off and hides, leaving Johnny (aka The Human Torch), Sue (with powers of creating force fields and going invisible) and Ben as the rock monster called The Thing, all working for the same people who initially they refused to cooperate with, never once thinking they have super powers and could simply walk out the door. Reed returns and spends most of the time explaining about Victor, left for dead on the strange planet but now back after being found alive, with his face encased in a mask and being very angry at the Earth, for some reason. He is Dr Doom and a less frightening baddie there has ever been. To add insult to injury, the usually effects laden finale that often appears in these films, is short and utterly pointless. The four each do their thing and it’s over. Leaving the audience bemused by the complete lack off effort to impress or surprise. Here’s what makes the whole thing such a shame, is casting five talented actors and then giving them nothing but boring plot explanations. Miles Teller, still riding high on his outstanding performance in Whiplash, gets the worst of the script as he has to explain everything. Michael B. Jordan, so good in Fruitvale Station, is not only given controversy by playing a black Johnny Storm but is then wasted. As is Kate Mara and Jamie Bell, who spends the final part dressed in rocks. Even Brit Toby Kebbell, is given nothing to sink his teeth into as Dr Doom. While Marvel Studios have got the whole superhero genre nailed, giving spectacle with intelligent story telling and humour, Fantastic Four is simply dull, slow, muddled and a complete shambles that feels incredibly old-fashioned and lacks any warmth, preferring to take itself far too seriously. In fact, dare I say it, it is the worst Superhero movie ever (even worst than X-Men: The Final Stand). Let’s hope that Fox return the rights to Marvel Studios and let them have an attempt. I’m sure they can pull something out of the bag.